But hundreds of years ago, before the Civil War, the dangers of the swamp and its seeming impenetrability actually attracted people to it. The land was so untamed that horses and boats couldn’t enter, and the colonists who were filing into the region detested it. 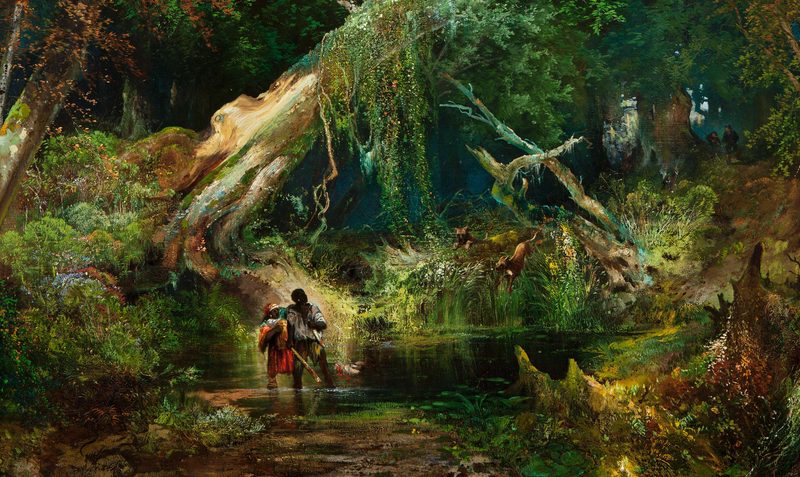 William Byrd II, a Virginia planter, called it “a miserable morass where nothing can inhabit.” But people did inhabit the swamp, including thousands of enslaved Africans and African Americans who escaped their captors and formed communities in the swamp. This “dismal” landscape was the site of one of the most remarkable and least told stories of resistance to slavery in American history. 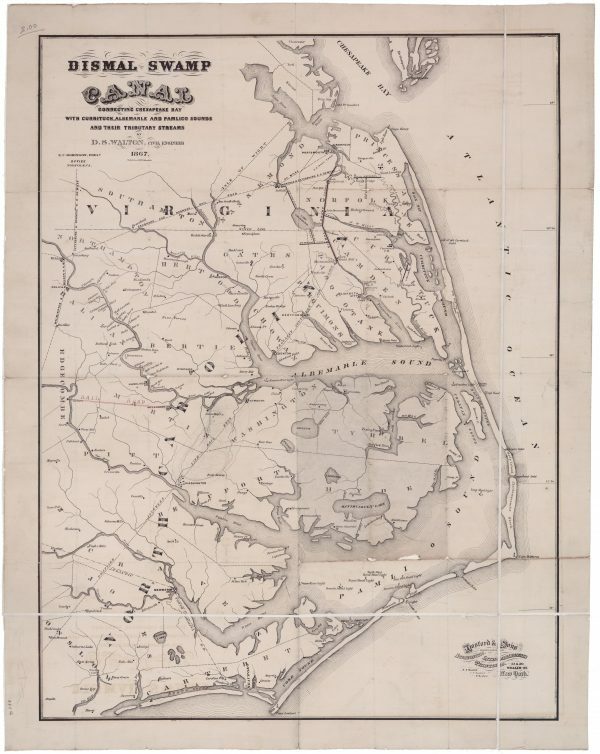 References to the Great Dismal Swamp — and the escaped slaves who settled there — started appearing in newspapers and other sources in the 1700s. But archaeologists have found evidence that people were living in the swamp long before that. When British colonists arrived in the region in the early 1600s, indigenous Americans began moving to the swamp to seek refuge from the Europeans. But around 1700, the demographics of the swamp started to shift. 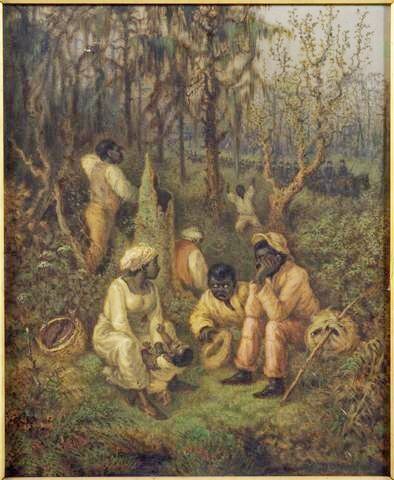 Slavery had become widespread, and the swamp became a place for escaped slaves to hide out. The enslaved people who found refuge in the swamp came to be known as “maroons” (from the Spanish “cimarrón,” meaning wild or untamed). 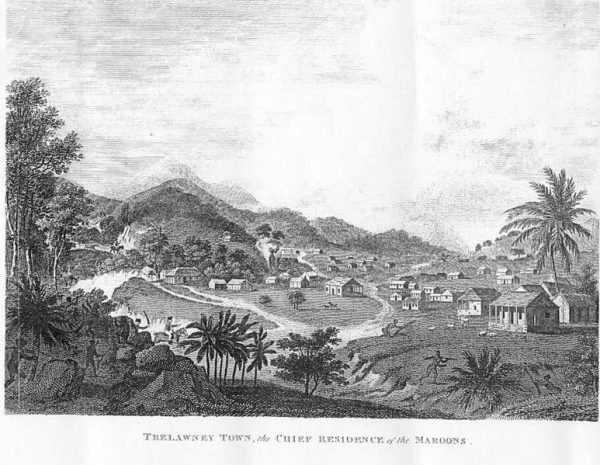 Unlike other runaways, some of whom headed to northern cities, maroons lived in the wilderness, often in difficult-to-reach places. They were determined to build their own self-ruled communities, with landscape and the forces of nature serving as a buffer between their new lives and the society that enslaved them. 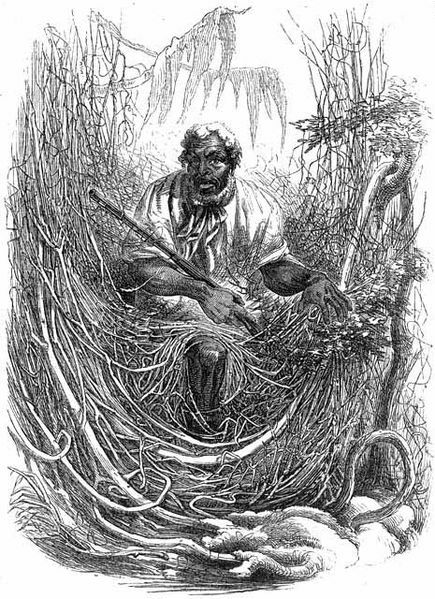 Over centuries, the swamp became home to thousands of self-sufficient maroons, and it also served as a stopping point for others who were fleeing North on the Underground Railroad. Maroon communities formed on little plots of high ground — islands of relatively dry earth that might cover twenty acres or more. Such islands could each house a few dozen maroons. And based on archaeological evidence, it appears that the maroons built elevated cabins that they lifted above the moist ground using wooden posts. They most likely cultivated rice and grain fields and participated in trade and cooperation with maroon communities on neighboring islands, but it’s hard to say for certain. Professor Dan Sayers is a historical archaeologist at American University and a leading expert on the Great Dismal Swamp. He and his team have been leading excavations in the swamp for years. And while they have recovered thousands of artifacts from these settlements, they’ve recovered very few manufactured goods from the outside world. Sayers says this speaks to the communities’ isolation and self-sufficiency. 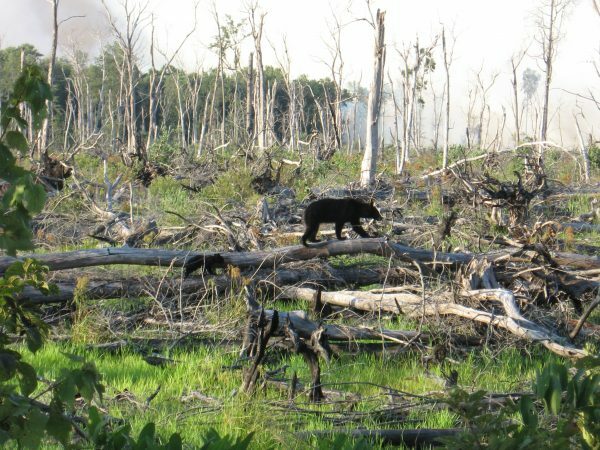 They made do with the resources they had in the swamp: timber and other organic materials that have long rotted away, as well as old stone tools left behind by the indigenous American inhabitants who preceded them. 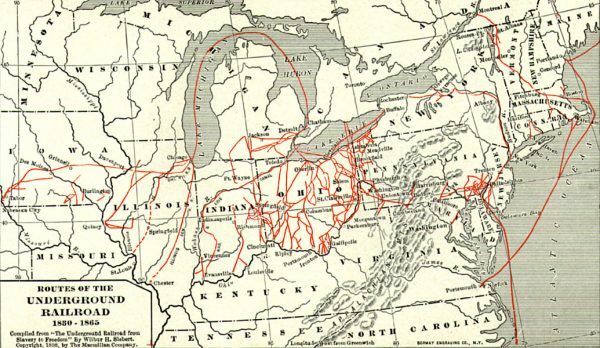 In the U.S., maroon communities formed all across the country. 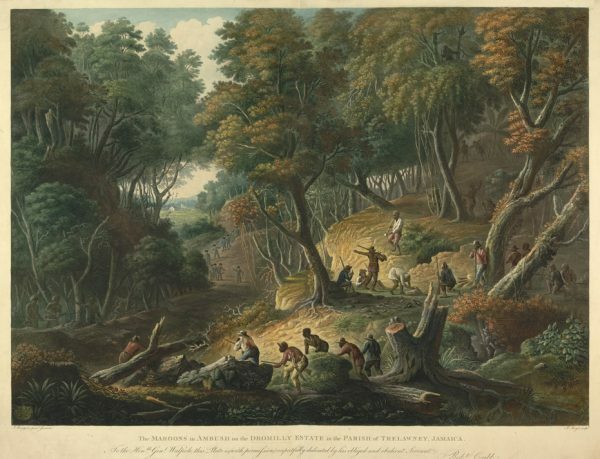 Some maroons lived in the woods while others lived in the mountains or swamps. Some even lived in tiny underground shelters that they dug out in wild areas near plantations. Dr. Sylviane Diouf, a historian of the African diaspora, says subterranean maroon shelters were often ingeniously constructed. Some had timber-supported roofs complete with trap doors that hid all traces of their presence. Diouf has found that most maroons tended to live either on the borders of plantations, near their family and friends, or out in places more removed from society — the hinterlands. 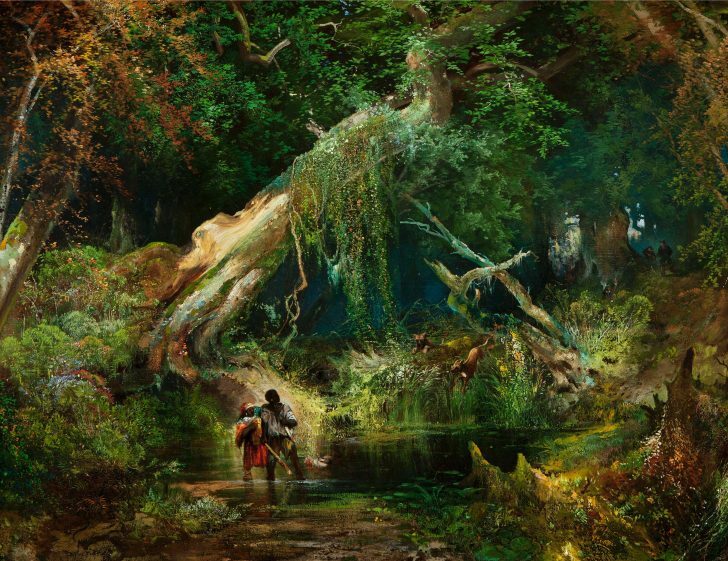 In the Great Dismal Swamp, the maroons eventually faced threats to their autonomy and isolation. As more and more Europeans arrived in the area during the 18th century, land grew scarce and more valuable. Wealthy colonists saw economic opportunity in the swamp, including future president, George Washington. 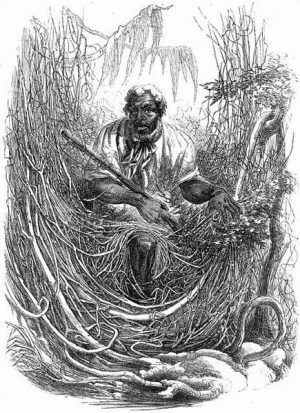 His company and others started cutting canals through the swamp using slave labor, and timber companies set up encampments in the swamp for enslaved workers. They cut down trees, which they turned into shingles and shipped all across the region. 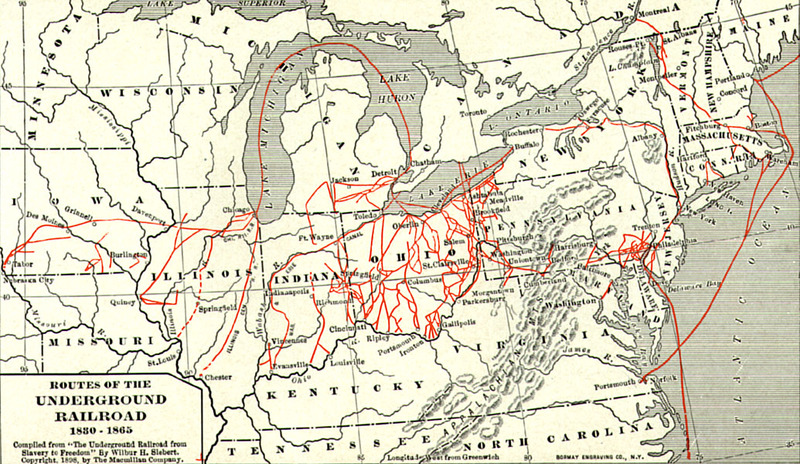 By the mid-1800s, tracts of land were cleared of trees, and there was a network of canals through the swamp. Contact between enslaved shingle-makers and maroons became pretty common. Sometimes maroons would help workers in exchange for goods from the outside world. With all this new industry and all these new canals, there was demand for skilled watermen who could navigate the waterways and transport shingles to port. Moses Grandy was one of those watermen. He was enslaved in the region, born in Camden county North Carolina in 1786. 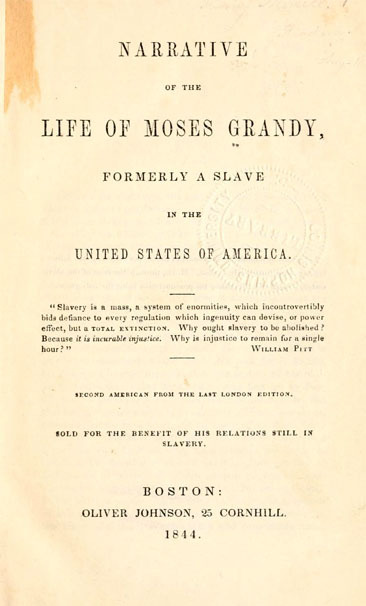 But one day, during his time on the canals, Grandy fell ill. And likely because of his familiarity with the swamp and his interactions with the enslaved shingle-makers (and probably the maroons who helped them, too) he decided to recover in the swamp. He ended up staying there for a whole year. Eric Sheppard, a distant relative of Grandy who now leads tours to to the Great Dismal Swamp, believes Grandy depended on those people when he was sick. Eventually, he recovered and managed to buy his freedom in 1833. He became part of the abolitionist movement and even traveled to Europe to speak about his experiences. 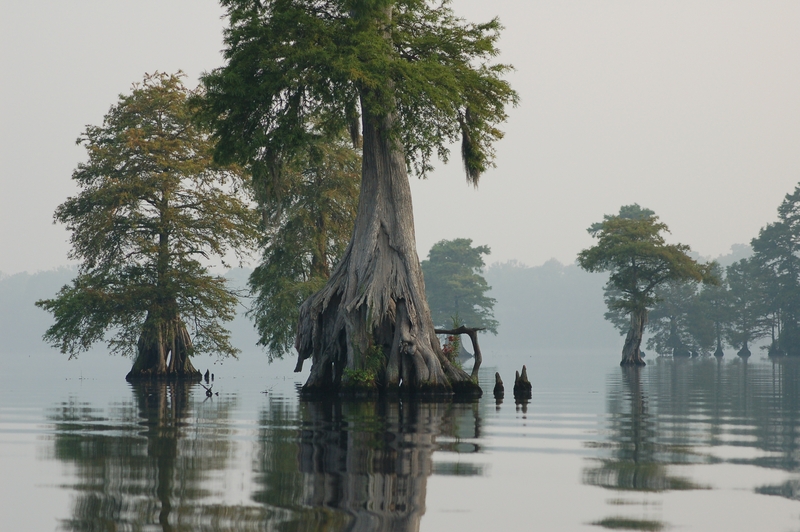 Professor Sayers’s research suggests that maroon communities of the Great Dismal Swamp began to disperse around the Civil War. It’s only in the past few decades that researchers have started to study most U.S. maroon communities in any sort of depth. For a long time, they were barely a footnote in U.S. history. Sayers and Diouf believe this wasn’t just an oversight. Black people taking their lives into their own hands and being self-ruled just has not been part of the larger discourse of this country, says Diouf. Eric Sheppard agrees. A lot of important African American history has been neglected by our education system, he says. 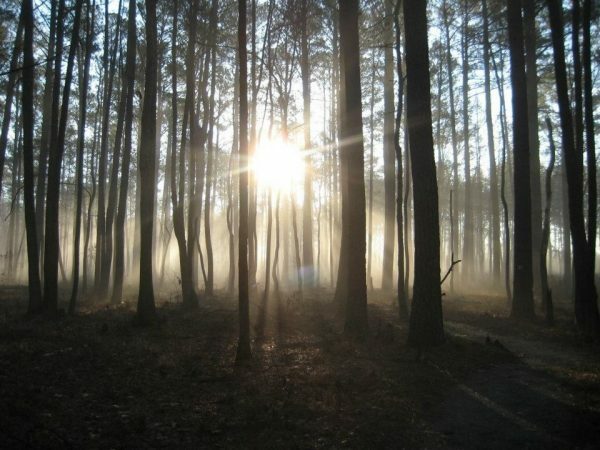 In 2003, several sites in the Great Dismal Swamp were added to the National Parks Service Network To Freedom, which recognizes 400 sites that were involved in the Underground Railroad. Today, the largest remaining part of Great Dismal Swamp is a national refuge stewarded by U.S. Fish and Wildlife Service, who aim to preserve and protect the unique habitat of the swamp. And thanks to Eric Sheppard, Sylviane Diouf, Dan Sayers and others, the history of the maroons who lived in the Great Swamp is finally being acknowledged and shared with the rest of the world. Producer Sharif Youssef spoke with Eric Sheppard, who lives in Carollton, Virginia and runs Diversity Restoration Solutions, a company that leads tours to the Great Dismal Swamp; Professor Dan Sayers, a historical archaeologist at American University and a leading expert on the Great Dismal Swamp (Sayers also authored the book A Desolate Place For A Defiant People: The Archaeology Of Maroons, Indigenous Americans, And Enslaved Laborers In The Great Dismal Swamp); and Dr. Sylviane Diouf, a historian of the African diaspora and and author of Slavery’s Exiles, The Story Of The American Maroons. This piece was inspired in part by an essay in the Smithsonian Magazine by Richard Grant. We used tape from Nina Shapiro-Perl’s short film Landscape of Power: Freedom And Slavery In The Great Dismal Swamp and the WPA’s Voices From The Days Of Slavery archive, hosted by the Library Of Congress. The Civil War isn’t even two centuries ago. Marshes are historically places of refuge for resistance movements, as you say they are traversable by neither horse nor boat, nor men unless they know the area well. The twelfth century Chinese Robin Hood-like story of the Water Margin was about outlaws in the Liangshan Marsh. In England in the ninth century, King Alfred based his successful resistance against the Vikings in the marshes of the Somerset Levels, staying on a patch of dry land called the Isle of Athelney, and later Hereward the Wake based his unsuccessful resistance against the Normans in the eleventh century from the Isle of Ely in the Cambridgeshire Fens. Boaters traveling the interior passageway with a shallow draft might take the dismal swamp canal route, which runs parallel to US Highway 17, when heading south for the winter. 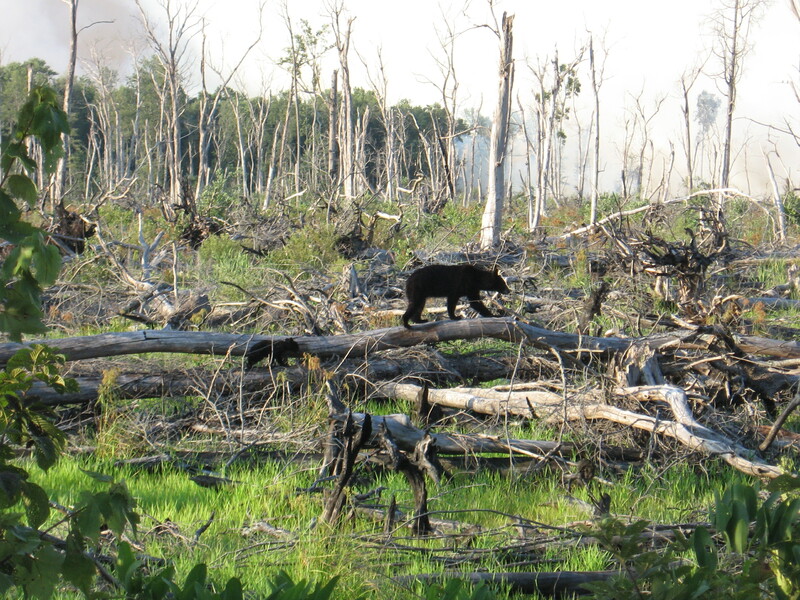 This route provides a view of the eastern edge of swamp and offers a glimpse into the conditions and habitat of the area. The canal has been closed to boat traffic since hurricane Matthew as the Army Corps of Engineers continues its dredging operations. Thank you for referring so often to “enslaved people”, or even to “people”. It humanises them. The song at the end is still sang in Southern Baptist churches. I grew up singing it.